If I purchase a self-hosted (on-premises) edition, will you install/troubleshoot it for me? If you purchase a self-hosted edition of MIDAS, it is on the assumption that you already have a web server correctly configured to meet the minimum requirements for running the software, and that you (or your in-house IT department, or external IT service provider) have sufficient knowledge and access to be able to install and configure software on your server. We provide a free "Server Readiness Tool" (available from the Server Requirements page, which you can download at any time and run on your server to check that it's ready for MIDAS before you purchase. We also provide step-by-step installation instructions and a wealth of server setup/configuration and troubleshooting articles through our Knowledgebase. 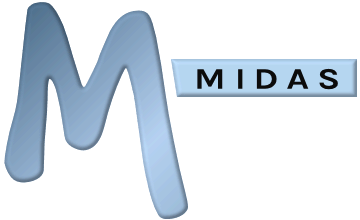 As we are a small UK-based business with a global customer base, it is not possible for us to visit each of our customer's organizations to install MIDAS on their behalf on their own infrastructure. We are also unable to offer a "remote assistance" service, whereby we are granted remote access to your server/infrastructure for us to remotely install/troubleshoot your server/MIDAS installation issues. Therefore, if you do not have a web server correctly configured to run MIDAS (as determined by our Server Readiness tool), or you're not confident in installing MIDAS yourself, then you may instead be better opting for our cloud-hosted edition of MIDAS where we install and "host" your booking system on our own infrastructure - so there's nothing for you to install! If you're unsure which edition if right for you, then please talk to us.